Financial Statement includes the Balance Sheet, Income statement and other statement which determine the company’s performance. Financial ratio analysis is the calculation and comparison of ratios which are derived from information in company’s financial statements. Financial ratios are the analyst’s microscope. It allowed them to get a better view of the firm’s financial health than just looking at the raw financial statements. 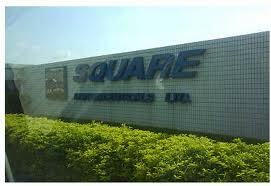 Square Pharmaceuticals Ltd. is a renowned company in Bangladesh. It is a flagship company in the pharmaceutical industry which has reached this mountain of success by fighting many potential competitors like BEXIMCO Pharma, INCEPTA, ACME, RENETA, OPSONIN, SK+F, SANOFI-AVENTIS etc. It initially started as a Partnership in 1958. It was incorporated as a Private Ltd. Company in 1964 and converted into Public Limited Company in 1991. Its initial public offering started in Dhaka and Chittagong stock exchange simultaneously in 1995. Their mission is to produce and provide quality & innovative healthcare relief for people, maintain stringently ethical standard in business operation also ensuring benefit to the shareholders, stakeholders and the society at large. They view business as a means to the material and social wellbeing of the investors, employees and the society at large, leading to accretion of wealth through financial and moral gains as a part of the process of the human civilization. Their Mission is to produce and provide quality & innovative healthcare relief for people, maintain stringently ethical standard in business operation also ensuring benefit to the shareholders, stakeholders and the society at large. Their objectives are to conduct transparent business operation based on market mechanism within the legal & social frame work with aims to attain the mission reflected by our vision. Their vision, our mission and our objectives are to emphasize on the quality of product, process and services leading to growth of the company imbibed with good governance practices. Pharmaceutical company is very important for every country. In our country, pharmaceutical sector is booming. This pharmaceutical sector involves with various medicine production, distribution and other works. One country’s health and nutrition sectors development almost depends on the pharmaceutical sector because they provide the medicine which refers by the doctor. If they don’t produce quality or standard medicine the patient will not recover from illness. The nation will net get healthy human resource. There are many pharmaceutical companies in Bangladesh now. Square pharmaceutical company is one of them. In the report we will see how they perform in Bangladesh with their financial statement analysis. Financial Ratio: Financial ratios are useful indicators of a firm’s performance and financial situation. Financial ratios can be used to analyze trends and to compare the firm’s financials to those of other firms. Trend Analysis is important for the company. The value of the variable tends to increase or decrease over long period of time. In this aspect financial health of the firm either improves or not can be seen in the trend analysis. Common Size Analysis: It is an analysis of percentage of financial statements where all balance sheet items are divided by total assets and all income statement items are divided by net sales or revenue. Current ratio: This ratio indicates the extent to which current liabilities are covered by those assets expected to be converted to cash in the near future. Current assets normally include cash, marketable securities, accounts receivables, and inventories. Current liabilities consist of accounts payable, short-term notes payable, current maturities of long-term debt, accrued taxes, and other accrued expenses (principally wages). Quick/ Acid Test ratio: This ratio indicates the firm’s liquidity position as well. It actually refers to the extent to which current liabilities are covered by those assets except inventories. Companies with less than 1 cannot pay their current liabilities and should be looked at with extreme care. Current ratio of Square Pharmaceuticals Ltd. shows that the ability of the company to meet the current liabilities with available current assets was decreased in the year 2008 and again increased n 2009. If we take a closer look on the balance sheet, this assumption gets a more realistic touch. Year by year assets have gone slightly up and the liabilities as well, but proportionately assets were a littler higher than the liabilities which actually reflected as a marginal increase in the ratio. As the current ratio is not consistent the management should keep keen eyes in this regard. The Quick ratio shows the decreasing trend. It indicates that the company is so much depends on the inventories to meet the current liability. Their ratio is so much weak to cover an unexpected draw down of liabilities. Financial leverage ratio shows the extent that debt is used in a company’s capital structure. It may be defined as the use of fixed financial charges in the firm’s capital structure t magnifies the Earning Per Share. A. Debt to Equity Ratio: It indicates what proportion of the equity and debt using the company to finance it assets. Sometimes investors uses only long term debt instead of total liabilities for a more stringent test. A ratio greater than one means assets are mainly financed with debt, less than one means equity provides a majority of the financing. If the ratio is high (financed more with debt) then the company is in a risky position. Especially if the rate of interest are on the rise. Debt to Asset Ratio: It indicates what proportion of the company’s assets is being financed through debt. It is so much similar to the debt equity ratio. A ratio under 1 means a major portion of assets are financed with equity and above 1 means they are financing more by debt. Furthermore we can interpret a high ratio as a highly debt leverage firm. When a company with high ratio then the company is also on high risk, especially in an increasing rate of interest market. Debt to equity ratio has increased in the year 2008 and then decreased in the year 2009. Square Pharmaceuticals Ltd. has increased their debt financing from 2007 to 2008 and then again decreased in the year 2009. The management should keep the debt to equity ratio in a balance position. Debt to total asset ratio also increased in 2008 and then decreased in 2009. The assets of Square Pharmaceuticals Ltd. for 2007 are supported by debt financing more than 2008. But it decreased in 2009. as we know that the ratio the greater the financing risk higher. So, the company should keep a moderate debt to asset ratio. Coverage ratio relates the financial charges of a firm to its ability to service of cover them. Interest Coverage Ratio: It indicates the firm’s ability to cover interest charges. It is also called times interest earned. The higher the ratio the greater the likelihood that the company could cover its interest payments without difficulty. The value of the ratio indicates the firm’s ability to cover annual interest by same times with operating income. The ratio also sheds some light on the firms’ capacity to take on new debt. The value of the interest coverage ratio decreased in 2008 and then again increased in 2009. The management should try to increase its earning to cover its interest expense with relatively easy. Annual Net Credit Sales: Assuming that all sales are on credit. Receivable turnover ratio indicates the quality of receivables and how successful the Square Pharmaceuticals Ltd. Is in collection. The higher the turnover he shorter the time between sale and cash collection. The receivable collection shows the decreasing trend. So the management should try to turn the trend to an increasing trend. For the year 2007 and 2008 time series analysis is stable. But at the year 2009 in comparison with last two years average collection period has increased. Therefore the company has to take utmost care to bring down the collection period of receivable. The changes in Inventory Turnover Ratio decreased in 2008 comparing to previous year but increased again in 2009. Though last year trend is an increasing one, still the company should improve its inventory management to achieve organizations goals. Firm’s Total Asset Turnover Ratio is weak. The company should go for more sales to get a higher asset turnover. Profitability is the net result of a number of policies and decisions. Profitability ratios show the combined effects of liquidity, asset management and debt on operating results. Gross Profit Margin: It indicates what the company pricing policy is and what the true mark-up margin are. The results may skew if the company has very large range of products. This is very useful when comparing against the margins of previous year. A 33% gross margins means products are marked up 50% and so on. Time series analysis shows that the gross profit margin is more or less stable. From the above findings on Gross profit margin of Square Pharmaceuticals we can say that the management should try to increase profit gradually. Time series analysis is stable of 2008 and 2007 and increased in 2009. This is a good symbol for the company and the management should try to maintain this tend. Square Pharmaceuticals Tend analysis of ROI ratio shows that after 2007, it decreased but for the next year it increased. Profit in 2007 is 12%, in 2008 is 11% and in 2009 is 14%. The company should take necessary steps to maintain this trend. ROE indicates the profitability to the shareholders of Square Pharmaceuticals Ltd. after all expenses and taxes. It is 18% in 2007, 16% I 2008 and 19% in 2009. The investors of the company got more benefit than the previous year. The management should try to keep this trend of the profit to satisfy the shareholder. Considering the entire financial ratio for the Square Pharmaceutical Ltd. we can say that at present the overall condition of the company is good. It had a mixed period from the year 2007 to 2009. Though the ROI is increasing gradually and ROE is not stable, it has decreasing tend in 2008 but then again went up in 2009. The company gross profit margin is stable at around 42% constant rate. Net profit margin was stable at 17% over 2007 – 2008 and showed an increasing trend in 2009 to reach 19%. But the company had a weak asset turnover ratio over this period. But we find that heir financial management is as stronger as required to attract large number of shareholders. At the end we can conclude that, the company has strong growth rate in recent years with a strong market reputation. But still the company should keep keen eyes in management operation to improve the financial condition.